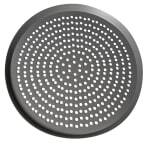 The American Metalcraft CAR16SPHC pizza pan is made of a hard coat anodized aluminum, heating quickly and evenly. 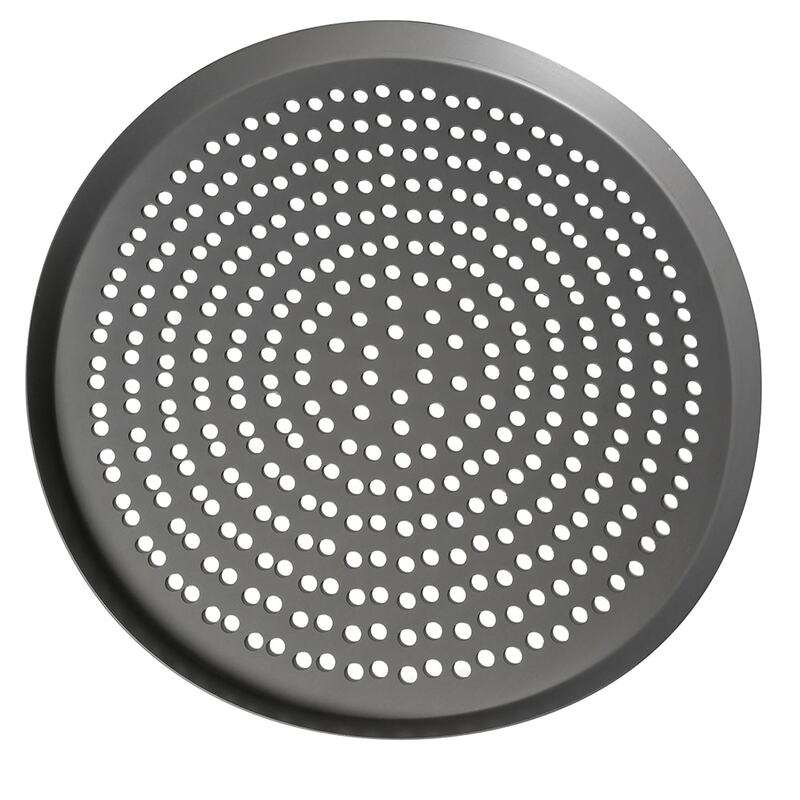 There are 3⁄8-inch perforations in the pan’s bottom to cook the pizza bottom quickly while producing a brown crust. Moisture can escape through the perforations to ensure finished pizzas stay fresh. The pizza pan has a 16-inch outer diameter, 15-inch inner diameter, and 11⁄16-inch depth. "I love this Pizza pan it works great with high heat, it is sturdy and made to last. I have one for over 15 years from the manufacture and it has..."
"I love this Pizza pan it works great with high heat, it is sturdy and made to last. I have one for over 15 years from the manufacture and it has held up."